We all know how important it becomes to defragment our hard disks when it gets heavily fragmented for a better and smoother PC performance. But we really never remember to do so, or even if we do, we need to be working on the computer at that time. And when we are away from the computer, there’s no way to defragment it unless we come back to it; but we come back to it only when we need to use it and then the whole cycle comes back into play. Diskeeper is a godsend when it comes to defragmenting your hard disks and keeping the computer performing smoothly. It is a very simple program that will work in background when your computer is doing nothing and just sitting idle. You can use Diskeeper to automatically take care of all the defragmenting needs of your PC. It is much more than your default disk defragmentation utility that comes bundled with the operating system. You can schedule the defragmentation to take place whenever you like – most probably when you are not at the computer. You can schedule it to take place on a daily basis or weekly or monthly or whatever it is that suits you, so that the Diskeeper takes care of the defragmentation when you are away, asleep or what-not. This totally eliminates the need for manual defragmentation. You do not need to remember about defragmentation ever again once you set up Diskeeper and will always have a faster performing computer. But Diskeeper is not just a disk defragmentation scheduling program. It is much more than that. It has quite a plethora of advanced options bundled with it. There’s the option of having Diskeeper defrag the hard disk while booting up. While this will slow down the boot up process, it will otherwise leave you with a smoother performing computer. Diskeeper also has features like IntelliWrite and I-FAAST. IntelliWrite is a feature based on the age-old proverb ‘prevention is better than cure’. IntelliWrite prevents a lot of fragmenting from taking place. Here’s how the Diskeeper’s official website describes: IntelliWrite prevents up to 85% of the fragmentation every system suffers from. It intelligently writes contiguous files to the disk so system resources are not wasted creating fragmentation. This is a very nifty feature that ensures great performance of the computer. Next up is the I-FAAST technology. I-FAAST mainly accelerates the file access times of the system. It does so by first monitoring file usage and then reorganizing the most often accessed files so that they can be accessed in the fastest time. This results in a boost in speed during file access and creation. Yet another feature of Diskeeper is that it can even work in real time, further removing the need for even scheduling defragmentation. It just doesn’t get anymore hassle-free than this. 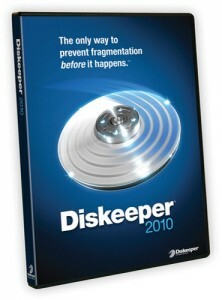 Diskeeper comes in four editions, these being Home, Profession, Pro premier and HomeServer. Whatever your need, you’ll find an edition that suits you. It’s great product to keep your computer in great condition. Visit http://www.diskeeper.com/ for more details.